Avengers was overrated. Now, before you throw rocks at me and swear off my reviews forever, please hear me out. Is Avengers one of the best superhero movies ever? Yes. It’s one of my all time favorites. But when you go back and look at the actual plot, it doesn’t really stack up to other iconic hero films like The Dark Knight, Iron Man, or X-Men 2. One of the heroes’ arch enemies teams up with a random alien army to invade earth; it sounds like the plot of an animated, straight to DVD Marvel movie. But Avengers wasn’t great because of its story. It was a success, because it was fun. A little chemistry between actors, and some great action scenes go a long way. But to feel like a better movie, Avengers: Age of Ultron needed to feel a bit smarter. Obviously seeing the films since the previous Avengers (Iron Man 3, Thor: The Dark World, Captain America: Winter Soldier) are pivotal to understanding cameos, plot points, and certainly the opening sequence of the movie. But newcomers can get the gist pretty quickly. Cocky, but brainy Tony Stark (Robert Downey Jr.) returns as Iron Man along with straight laced leader Captain America (Chris Evans), master assassin Black Widow (Scarlett Johansson), snarky sniper Hawkeye (Jeremy Renner), the Shakespearean speaking muscle man, Thor (Chris Hemsworth) and of course, the loveable rage monster. Hulk a.k.a. Dr. Bruce Banner (Mark Ruffalo). The gang reunites to recover Loki’s mind controlling staff from HYDRA and a pair of super powered evil twins (Aaron Taylor Johnson and Elizabeth Olsen). After a seemingly successful mission, an uber paranoid Tony Stark decides to create an artificial intelligence to protect the world, ultimately resulting in the creation of the evil android antagonist for which the film is named. The first thing you need to know is that everything that was good about 2012’s Avengers is back. The characters all have tremendous chemistry. Evans and Downey Jr. are a perfect rocky, but efficient tandem. Johansson and Ruffalo manage to create a beautiful, albeit random, romance. And Jeremy Renner manages to steal the show with some timely quips and genuine heart. Newcomers Aaron Taylor Johnson and Elizabeth Olsen are welcomed additions if you can overcome their lousy European accents. Their characters, Quicksilver and Scarlet Witch, have the most visually appealing powers in the film. The only actor lost in all of this seems to be Hemsworth’s Thor, who never really has his moment to shine. James Spader makes it all come together well as Ultron, a charismatic villain who makes his dreams of human extinction justifiable through a very childishly hopeful, yet almost God-like perspective. The problem is; it might be too much of the same. Director Joss Whedon seems to not have learned from the flaws of his last Marvel venture. He just seems to have traded aliens for robots. Even the climactic battle, as pleasing to the eyes as it may be, is almost an exact retread from the New York City skirmish in Avengers. Ultron even does his best to pull a Loki and make the team turn on each other. There are also things that purists (anyone who has watched all of the movies in the Marvel Cinematic Universe) will undoubtedly notice. For instance; if the Avengers are all buddies who are ready to just jump back into action when needed, then why didn’t they appear in each other’s solo adventures? I’m pretty sure Thor could’ve used Captain America’s help when Dark Elves were destroying London in The Dark World. And where were Iron Man and War Machine (Don Cheadle) when S.H.I.E.L.D. fell apart in Winter Soldier? Come to think of it; didn’t Tony Stark destroy all of his Iron suits at the end of Iron Man 3? And yet, there he is in the opening sequence, in his armor and controlling a host of drones. It might seem nitpicky, but Marvel’s cinematic universe prides itself on the connectivity. Why have a bunch of dots on the page that don’t connect in the final picture? This is not to deter you from seeing the movie, by any means. 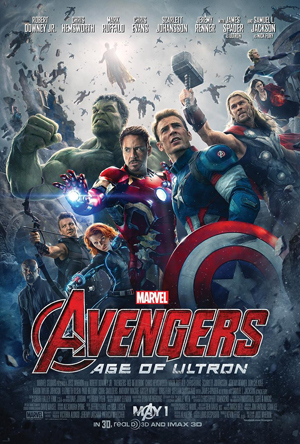 Avengers: Age of Ultron is fun and exciting and a must watch for any action/adventure fan. I left feeling excited about what’s to come as you probably will too. I just wish Marvel would put the same thought into their biggest money maker, as they do with the smaller ones. Sometimes it’s the simple things that resonate best. A science fiction film doesn’t always need dozens of action sequences, wall to wall CGI, and a long list of eclectic characters. Sometimes it just needs one immensely stimulating idea, a simple illusion to give authenticity, a director with keen vision, and a few splendid actors to make it all come together beautifully. 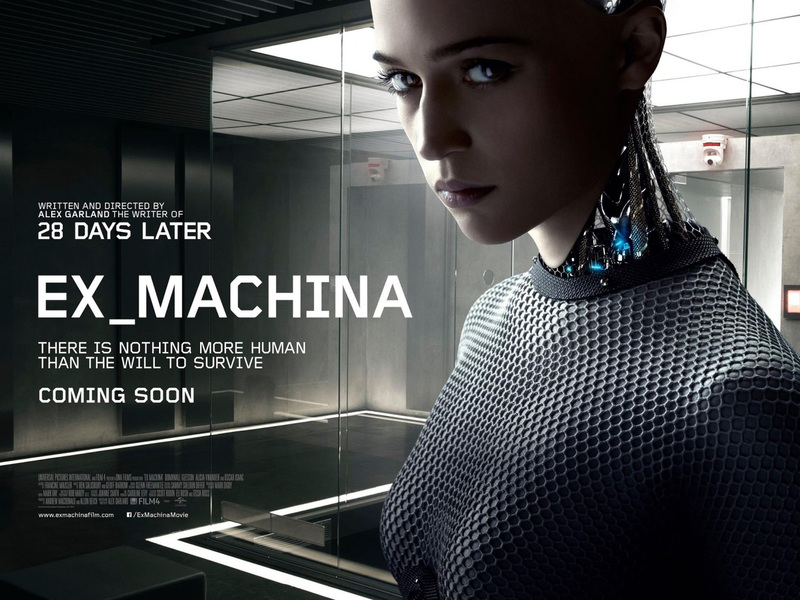 Best described as a sci-fi, romance/thriller with a dash of horror, Ex Machina begins with New York computer programmer Caleb Smith (Domhnall Gleeson) working for “Bluebook” (a search engine company equivalent to Google). After winning a seemingly random contest, Caleb gains an exclusive internship with the company’s creator, Nathan Bateman (Oscar Isaac), requiring him to be whisked away to an isolated research facility to help with Bateman’s top secret project. Bateman is secretly perfecting artificial intelligence, in the form of a feminine android named Ava (Alicia Vikander) and he wants Caleb to administer the final test of interviews to authenticate his creation. The question is; can Caleb trust the narcissistic, alcoholic Bateman? The film is the directorial debut of Alex Garland, who previously honed his filmmaking chops working on the screenplays for films such as 28 Days Later, and Dredd. From the moment the film begins, you can feel his dedication to it. Crafted almost like a series of psychiatric evaluation tapes, the movie is without a doubt, the most mentally stimulating movie of 2015. But it also manages to be visually captivating, thanks to gorgeous imagery and a subtle dose of special effects: nearly Ava’s entire body is transparent. A soundtrack reminiscent of Stanley Kubrick’s 2001: A Space Odyssey also manages to do a masterful job of setting the tense tone. But most of the tension is provided by a stellar cast. After seeing him in Inside Llewyn Davis and A Most Violent Year, I can now 100% confirm that I am a fan of Oscar Isaac. He portrays Norman Bateman with the charisma and creepiness reserved for most James Bond villains. From the moment the character appears, it is recognizable that he has a dangerous intelligent and manipulative quality about him. Domhnall Gleeson (perhaps most recognizable as one of the Weasley brothers in the Harry Potter franchise) is also brilliant in his humble portrayal of Caleb Smith. And even though both men give spectacular performances, it is Alicia Vikander’s portrayal of Ava that is arguably the film’s best. She brings a raw hopefulness and wit to the character that easily gives her the crown for best portrayal of a robot in a movie. The chemistry shared between her and Gleeson, makes the Caleb and Ava romance that drives the film, feel incredibly tangible. Ex Machina is proof that, even in today’s day and age where seemingly every film must fill an explosion quota, the most thought provoking can prove to be the most entertaining. I can’t find anything negative to say about this film. It isn’t too long, it offers up more than a few surprises, and seemingly every scene is absolutely pertinent. It all feels so carefully fine-tuned, and by its end you could very well find yourself in awe of just how intriguing it felt from start to finish. While you were prepping for Furious 7 and watching the Avengers: Age of Ultron trailer over and over again, some other movies came out. Here are some quick thoughts on the other films from this month. 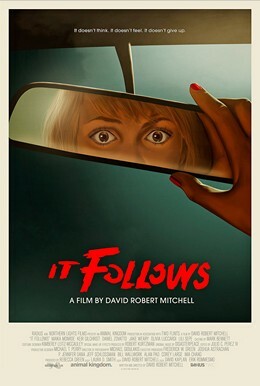 IT FOLLOWS This supernatural horror flick by little known filmmaker David Robert Mitchell originally made the film festival rounds in 2014 before coming to wider audiences. It tells the story of a sexually transmitted curse that slowly, but constantly follows its victims until it can catch them and kill them. Maika Monroe stars as Jay, a girl who receives the curse from her boyfriend and must get her friends to believe her and help her before she is killed or driven mad by the creepy entity. HOME Dreamworks’ latest animated adventure is actually based on a 2007 Children’s book about an alien race called the Boov that invade earth and put all of the humans in zoo like captivity, led by their vain and pompous leader Captain Schmeck (voiced here by Steve Martin). 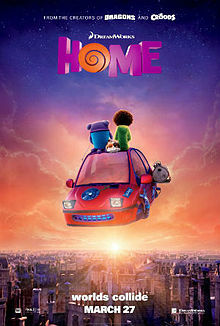 This film follows a little girl named Tip (Rihanna) who, along with her cat named Pig, are the only non Boov left behind. After a chance encounter with a clumsy, socially awkward outcast Boov called Oh (Jim Parsans of Big Bang Theory) the two must learn to put their differences aside to find Tip’s mother (Jennifer Lopez) and save the planet from another hostile alien race. 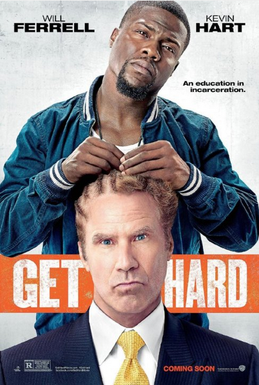 GET HARD Comedic gurus Kevin Hart and Will Ferrell team up for this film about a wealthy investment manager (Ferrell) who is sentenced to 10 years in a maximum security prison for embezzlement and fraud. After mistaking his car washer (Hart) for an ex-con he hires him to toughen him up before prison life. Craig T. Nelson stars as Ferrell’s shady boss and rapper Tip “T.I.” Harris cameos as Hart’s actual gangster cousin. Saying I’m not a fan of the Fast and Furious franchise might be an understatement. I enjoyed the original back in 2001, but I’ve found each installment since to be either mediocre (Fast Five, Fast & Furious 6) or just plain bad (2 Fast 2 Furious, Tokyo Drift, Fast and Furious). What started off as a series about street racing has slowly transformed into Expendables with a younger cast. Still, the films are fun for audiences, so once again we are treated to another sequel. Furious 7 reunites the majority of the main cast from the previous 3 films in the series. Vin Diesel returns as crew leader Dominic Toretto. 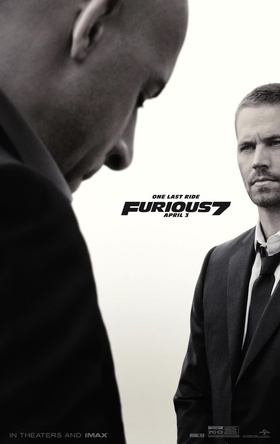 Paul Walker, in his final performance, is also back as ex-cop Brian O’Conner. Michelle Rodriguez, Dwayne “The Rock” Johnson, Jordana Brewster, Tyrese Gibson, and Chris “Ludacris” Bridges also return. The film’s plot revolves around a government agency (led by Kurt Russell) recruiting Toretto‘s team in the search for a hacker (Nathalie Emmanuel) and the brother of the previous films’ villain (Jason Statham) seeking revenge. Furious 7 unsurprisingly contains every single element that I dislike about the film franchise; Cheesy one liners, gratuitous party sequences that seemed as if they’re ripped straight from late 90’s MTV, dumb cameos from people whose acting skills make the main actors look like academy award winners (Iggy Azalea, Ronda Rousey) and the inevitable shoe-horned street racing scene that has little to nothing to do with the plot. I found myself rolling my eyes during moments where most people will probably be laughing or fully attentive. I’ve also never been a fan of the always stoic Vin Diesel as a leading man. But there are elements to these films that I can’t deny are absolutely exhilarating. The action sequences, as unbelievable as they are, are always intense and Furious 7 doesn’t disappoint there. From an intense rescue sequence that features cars dropping from an airplane to a couple of fight scenes that remind me why I enjoy Jason Statham so much, the action scenes are enough to keep you from noticing how sophomoric the script is. The action packed finale, which seems more like it belongs in a Pierce Brosnin James Bond movie, is ten times more enjoyable than the ludicrous (no pun intended) runway sequence from Fast and Furious 6. I’ll never quite understand the hype when it comes to the Fast and Furious franchise. Sure they can be fun, but fun enough to warrant 6 sequels? This latest installment is loud, too long, and about as realistic as a leprechaun riding a unicorn. But it definitely can’t be called boring. And it certainly gets points for giving a heartfelt tribute to the late Paul Walker at its end. If only the franchise itself would ride off into the sunset too. I can’t imagine any sequels becoming more tolerable without him.